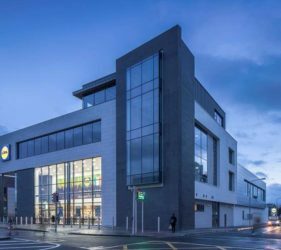 Render is a uniquely versatile material that can be used to coat virtually any building, to create new buildings, remodel existing and create fine façade detailing to any budget. Like any material that must withstand and repel the elements, the correct production and application are vital if it is to have longevity. Essentially all modern renders are a composition of four elements – sand, cement, water and the additives which make the products perform. When combined in the correct quantities these elements produce excellent rendering results. However, if the ratios are not combined correctly the materials will not perform as required. 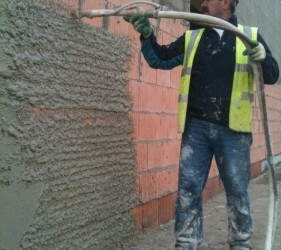 For instance, too much cement means the render hardens too quickly or develops too densely whereas too much lime additive means a slow cure process or loss of strength. All renders adhere to the substrate by a combination of mechanical key and suction. To determine the suitability of a render to a particular substrate or background, a close examination of the density of the substrate is required. All building systems have varying densities, i.e. engineered brick or block have a high density, while Poroton blocks have a low density. 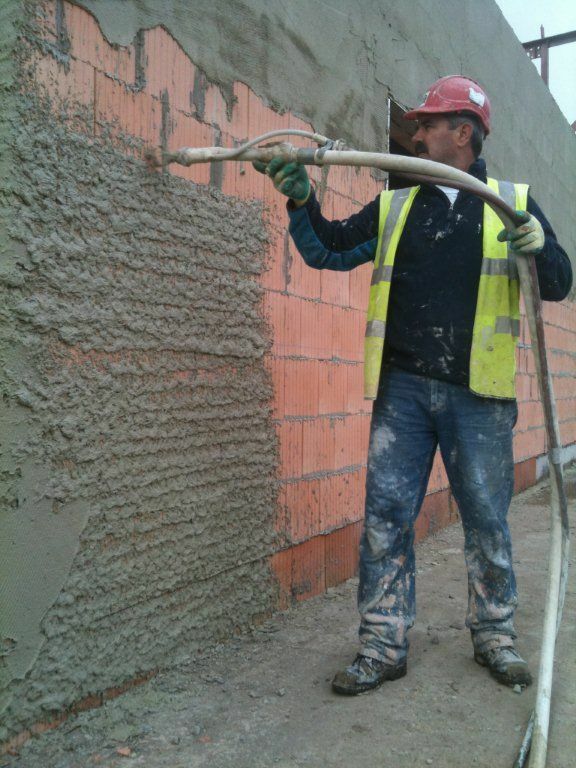 Choosing the correct render for the various systems is vitally important. From the substrate, out to the surface, densities vary from dense to less dense, or from strong to less strong. 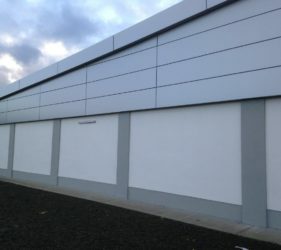 Although traditional renders are usually a build-up of several coats to achieve the correct steps in density, protection levels and aesthetic finish, modern manufacturing techniques now enable the production of single coat renders, achieving the same goals in a fraction of the time with consistent results. 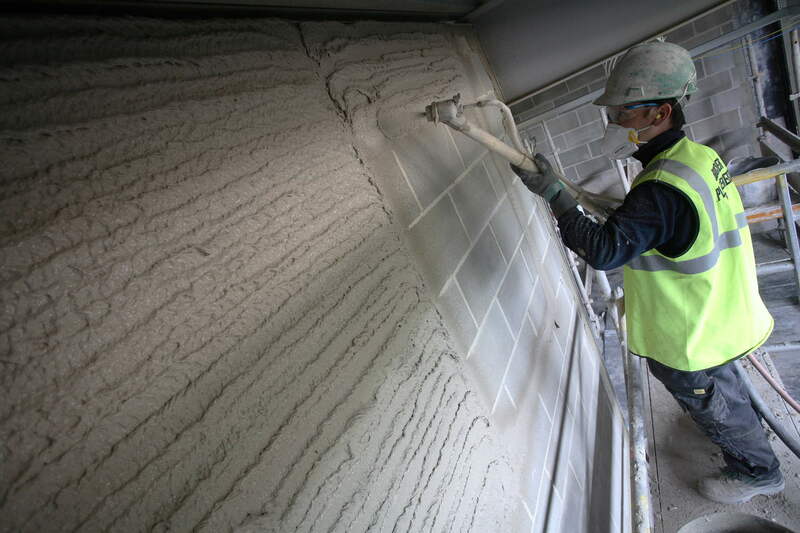 Render products can also now be spray-applied, thus speeding up the process dramatically when compared to the traditional hand-applied method. Single coat renders, aka ‘monocouche’ or ‘monocapa’ (depending on their European origin), can be ‘through-coloured’ and are available in a range of colours or lime-cement based (which need a paint or synthetic decorative textured coating). Each render enables the creation of a truly stunning façade finish. SMET supplies a wide variety of Professional Render Systems designed for all building systems including; traditional concrete block, brick, Poroton building systems, Insulated Concrete Formwork (ICF), timber frame building systems, retrofits, historic restoration and conservation builds. 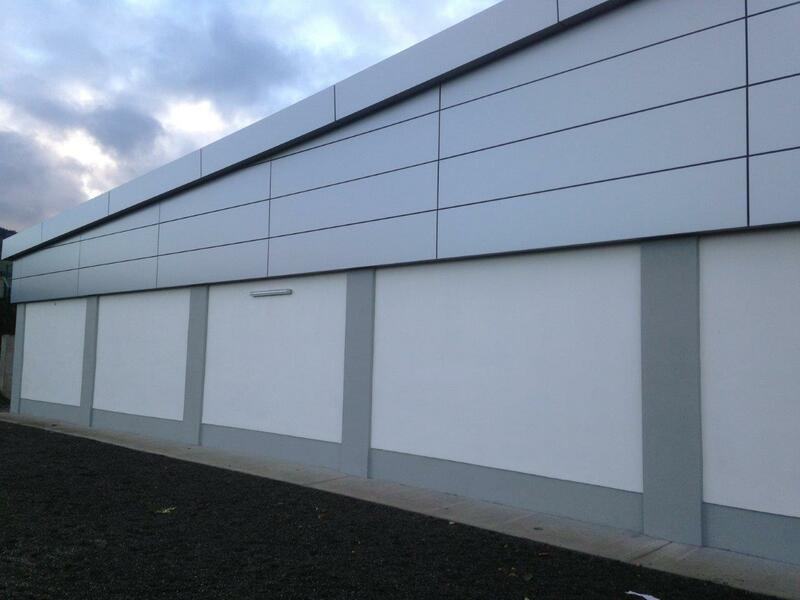 SMET Professional Render Systems are used on a wide range of projects across the UK and Ireland. 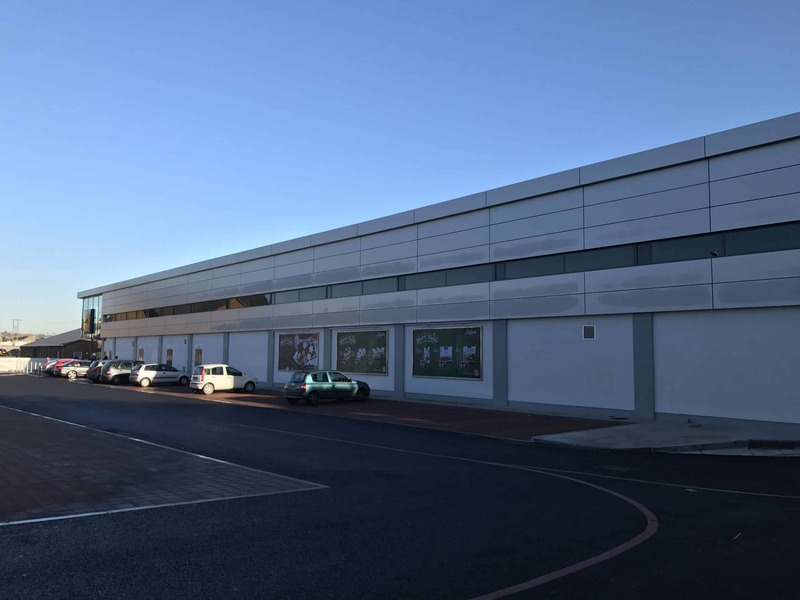 The SMET render system for application onto Poroton single-leaf, self-insulating clay block is utilised in a vast number of new stores, extensions and refurbishments currently specified by major retailers such as Lidl. 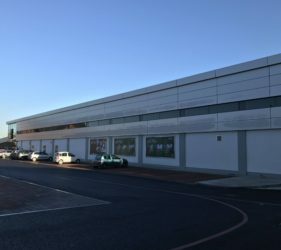 These superstores are rendered using a combination of German-made Bauprotec 850 M, Bauprotec SLP Lightweight Lime Cement render, Bauprotec RHS Multi-Purpose render and Mineral Finish Coat render. 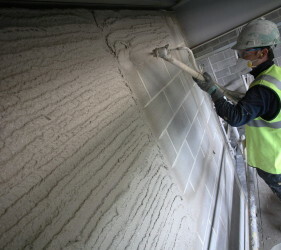 Each being specified for their unique properties, suitability for application onto lightweight Poroton block and offering great ease-of-use for the applicator. Produced to EN 998-1: 2010, these renders are normally machine-applied by Smet Supported Partners. 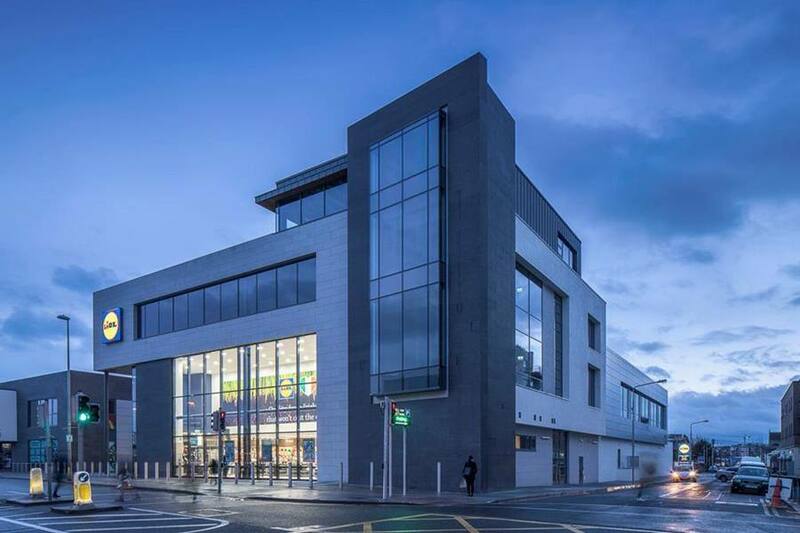 Key drivers for the selection of these renders include their special properties such as lightweight, low density, low thermal conductivity, high yield and SMET’s superior technical back-up in the delivery and application of the high-quality innovative façade materials. 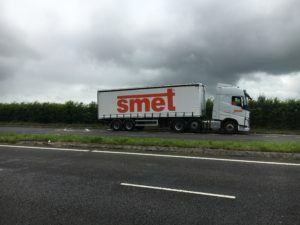 Delivery to new superstores requires a tight turnaround and a just-in-time style service to Smet’s Supported Partners. Within this partnership, SMET invested in a new modern infrastructure such as urban trailers with tail-lifts which further supports the often limited on-site space when making deliveries.